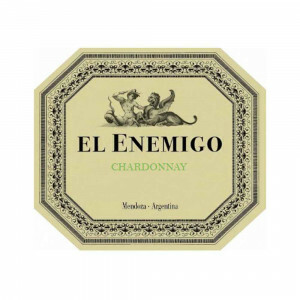 Aromas of dark fruit with fresh herbs and tile. Perfumed. Medium-to-full body, juicy fruit and a flavorful finish. Drink now. 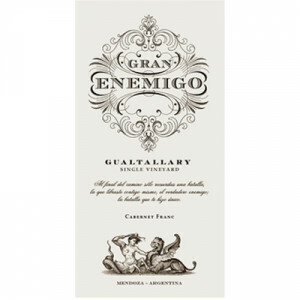 The 2015 El Enemigo Cabernet Franc was produced with fruit from Gualtallary, from a specific 8.8-hectare plot of the Adrianna Vineyard. It fermented in two tries with a portion of full clusters. It has a beautiful nose with plenty of spices and herbs and some Pinot-like red fruit. The palate is harmonious and balanced, with very fine tannins and a velvety texture. 21,600 bottles produced. A pure and refreshing red, with raspberry and macerated cherry flavors that are fringed by hints of dried herbs and fresh-ground pepper. The taut finish is framed by slate notes. Drink now through 2020. 6,000 cases made.